The EU does not want Brexit and if it were to happen, it will inflict incredible damage to the British political system and its integrity. This is really no different than what happened in Greece in 2015. And it was directed by Angela Merkel then and it is being directed by Merkel today. 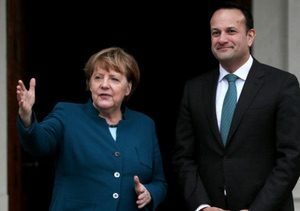 I find it pathetic to see Merkel on a charm tour in Ireland (pictured) this week to present her Mutti Merkel side to help ease the pain of Theresa May’s open betrayal of the British political system. Now that the fix is nearly in, Merkel and Donald Tusk are playing good cop to Guy Verhofstadt’s frothing-at-the-mouth bad cop. Germany’s descent into economic malaise now is Merkel’s biggest problem, though I doubt she’s fully cognizant of the implications. 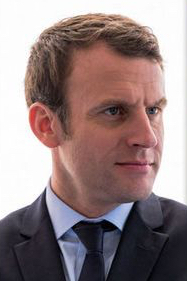 Everyone suffers from normalcy bias, and for her the European project should be strong enough to weather any storm. The conventional wisdom is, keeping the U.K. in the EU as a tax cow is paramount to ensuring continued German dominance over the bloc. And, I agree that is the thinking in Brussels. And because there is still some slack yet in the German economy, it hasn’t fully expressed itself yet at the consumer level. So, that gives everyone enough wiggle room to talk the talk. But, savings are rising rapidly while consumer spending is topping out.